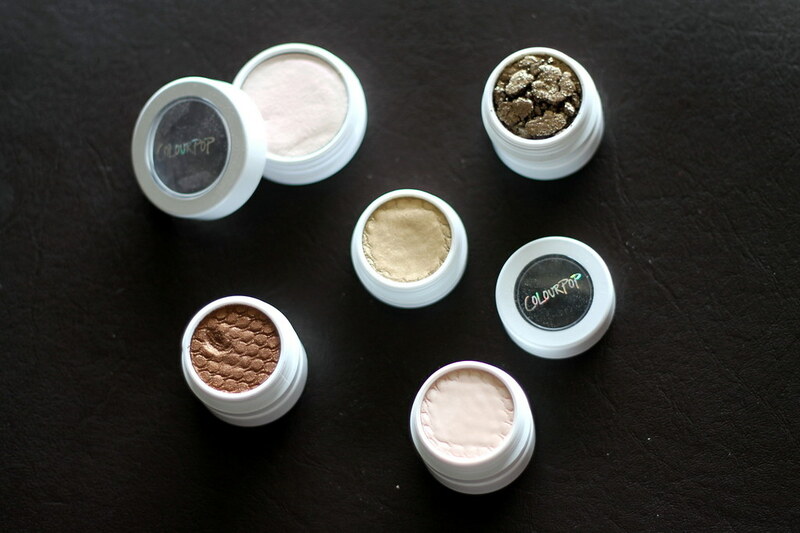 If you’ve never heard of ColourPop before, where have you been? The company came storming into the beauty world about a year ago with their buzzed-about eyeshadows whose formulas were taking over the beauty world (and their lip pencils and lippie stix were just as hyped). They recently expanded to blushes, highlighters, and bronzers, and the best part? The quality you get for the price is amazing—and affordable (the eyeshadows are just $5/pop). Sign me up! Monster Highlighter: Creamy and a pinky, iridescent color, this highlighter is perfect for making the transition between spring and summer. It has a slight duo-chrome finish that is gorgeous. Onai: This is the perfect cool-toned brow highlight shade. It has a slight duo-chrome blue finish, which is surprisingly flattering. Amira: My Amira has seen better days, but it’s still plenty usable. It’s an antique-gold glitter-based brown that’s quite a statement on its own. On the Rocks: This is a warm, coppery bronze, and I like to wear this best smudged under my lower lash line. Get Lucky: This is a true gold shadow that looks so good popped onto the center of your lid for a bit of extra dimension. Have you placed an order from ColourPop? Let me know what you ordered!